iNet provides travel WiFi service with a personal Pocket WiFi router so that you can immediately enjoy mobile WiFi service while you travel. Pickup is available in over 400 SF Express locations. Call us to inquire about our WiFi rental service. Call us at +852 3502 1188(Central) / +852 2331 2260 (Kowloon Bay). 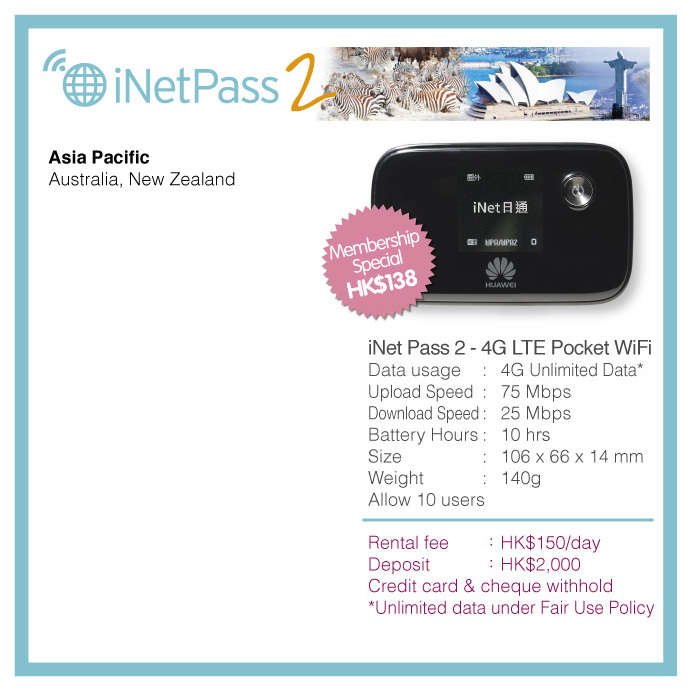 You can also contact us through email to enquiry@inet-international.com.hk.